I've been very nostalgic for warm weather this week. Not that's it's terribly cold here. Fortunately, we've had temps in the 40's. But maybe that just makes me long for even warmer weather. . . gardening weather. Here's what I've been dreaming about, in color. 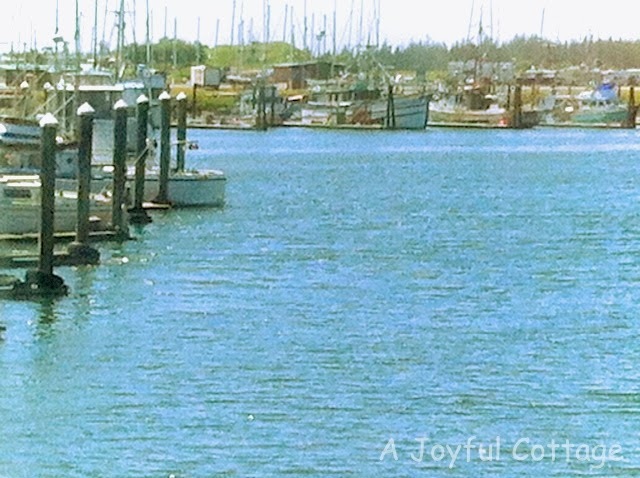 This is Winchester Bay. I took this photo with my iPhone last summer, when we were on our 5-week Oregon excursion. Dennis participated in a plein air painting event on a farmette in Lyons, CO three years ago. It was a magical place with beautiful gardens. This is an edited version of a photo I took. I played around with it this week, and gave it the look of a painting. 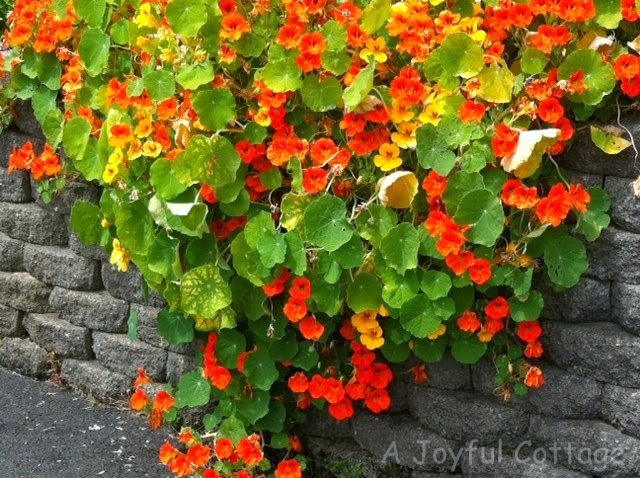 Nasturtiums tumbling over a stone wall in Yachats, Oregon. Another photo from our excursion. A plethora of wild roses filled an area in our Colorado homestead. I snapped this photo last year before we sold our home. 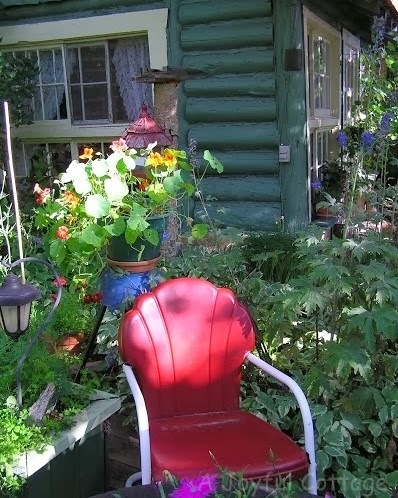 One of my very favorite places in the whole word: Fawnbrook Inn, Allenspark, Colorado. Mieke's garden is like no other. I'm so glad you joined me for a look at my random colorful dreams. And now I must know, what have you been dreaming about this week? I have been dreaming about early Spring. We are in the single digits and more snow to come tomorrow. Loved your post Nancy! Beautiful photos and Color Touches . . .
You're so sweet, Lynne. Thank you. Hope you're staying warm there. I'm actually dreaming about white....we don't get much snow where we live, but usually there is quite a bit in the mountains (just an hour away). This year...not so much. I really want to go cross country skiing, but I doubt it's going to happen this year. I think cross country skiing must be fun, Jill, though I've never tried it. It must be great exercise. Maybe you'll get your wish and the mountains where you live will get some snow before summer. Your pictures are absoluteky beautiful! Thank you so much, Magali. You're very kind. Thank you for the beautiful colors, Nancy. I have been actually been dreaming of summer, longing for hazy, hot and humid days by the pool. All this snow and subzero cold is getting old! My pleasure, Kim. I hope you get a break from the cold soon. Hugs. I love nasturtiums. They are so colorful. They are pretty, and they're not a fussy flower. I like to add them to window box arrangements. I especially like the last one with the pop of color the chair gives. Dreaming? I guess I just live in the day....I don't tend to dream about something else---not sure if that is good or bad! Mmm. Yes, that all sounds lovely, Rose. I love your garden gate photo. 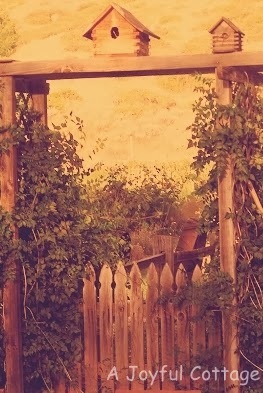 I want to walk through that gate and see what's on the other side. Wonderful! wild roses are beautiful. last year was the first year i planted nasturtiums and they thrived, now i have to have them always. pretty post. Thanks, Betsy. I hope to have a flower garden this year. Last year we sold our home and I missed the gardening season completely while we headed west and began our search for a new home. Nancy, how are you!? I didn't blog much over about a six month period and am now getting back in the swing. Have a new camera! That was one of the "fixes" to some issues that were going on before. 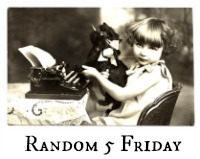 These Random 5 photos are just great! I LOVE nasturtiums, and the "painting" photo was so neat. Hope all is going well for you! What have I been dreaming about? Loghtning bolts shooting from my hands to heal the world. That sounded less hilarious before I typed it out.